IT IS THAT TIME OF THE YEAR: BE PREPARED! MITIGATE! Today is Saturday 27 May 2017. 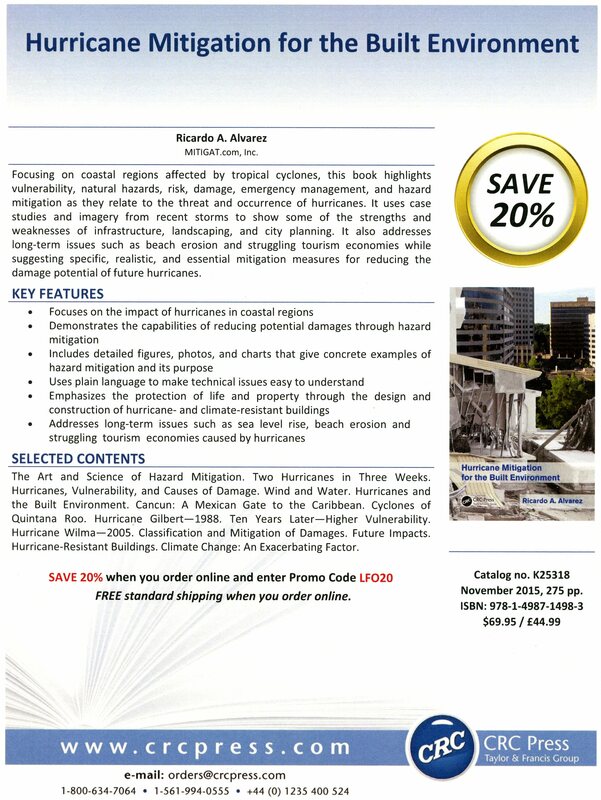 Just a couple of days ago the National Oceanographic and Atmospheric Administration (NOAA) released its updated forecast for the 2017 Atlantic Hurricane season, which officially starts this coming Thursday 1 June 2017. NOAA’s forecasters have called for an above average Atlantic season with a possible 17 named-storms this year. An ‘average’ season, if there is such a thing, usually produces 11 named-storms. 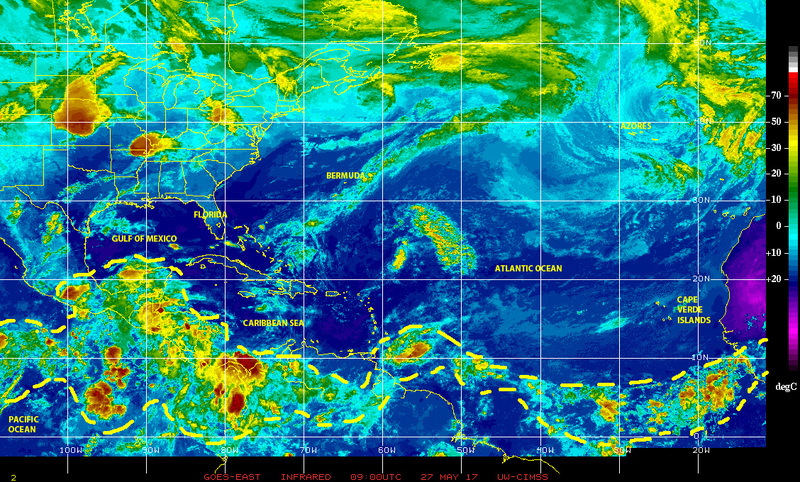 Just to be ready for what eventually will happen, or not, the World Meteorological Organization (WMO) has prepared a list of 21 names for tropical cyclones in the Atlantic. While NOAA’s forecast has several caveats regarding the various factors that may contribute to this year’s Atlantic hurricane season, such as whether or not El Niño will stay away, we are already seeing some of the contributors begin to fall in place. 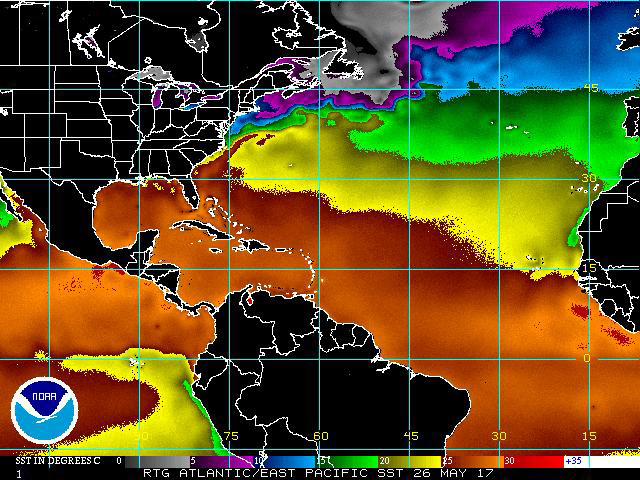 For example, the tropical waters in the northern Atlantic are already getting rather warm, with sea surface waters over large regions reaching 30˚ C, thus the heat energy content of the ocean is conducive to feeding tropical cyclones. 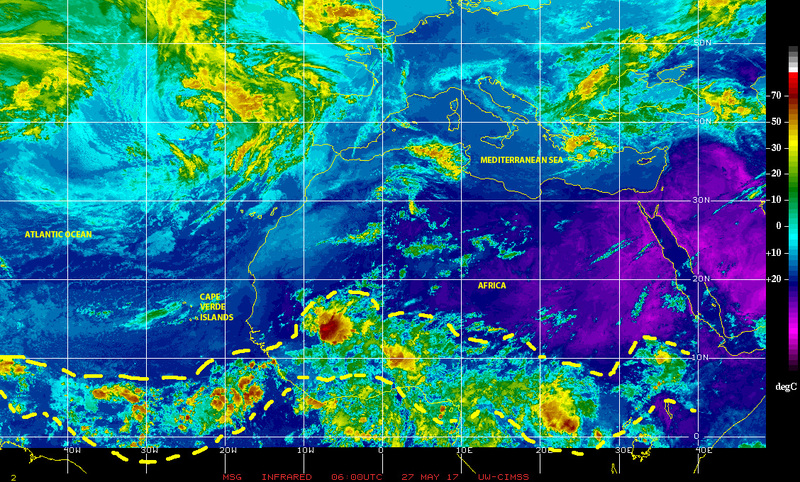 We are also seeing the trains of tropical waves over equatorial Africa, ‘hurricane alley’, and the eastern Pacific starting to line-up north of the equator as they march toward the west. 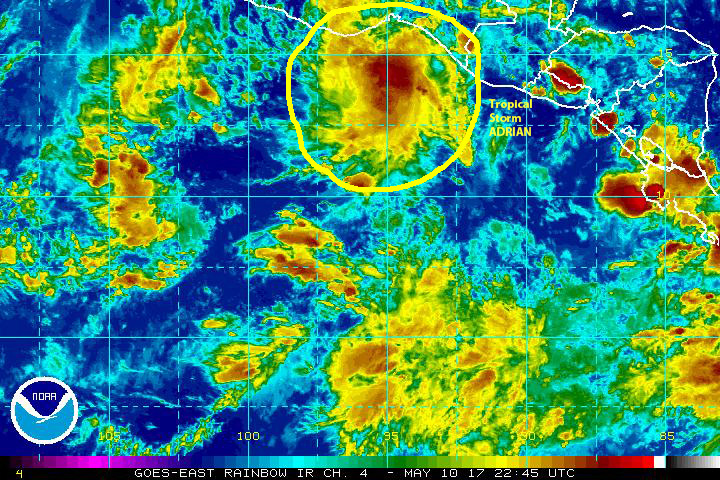 A sign that conditions are favorable for thunderstorm and rain cell formation, another contributor to cyclogenesis. Elsewhere, we have already had the first named-storm of the 2017 Eastern Pacific Hurricane Season, tropical storm ADRIAN formed on 10 May 2017 off the Pacific coasts of Central America and Southern Mexico becoming the earliest named-storm of record in that basin. Farther west, over the northwestern Pacific near the Philippines there are currently two large areas of disturbed weather that are showing some potential for tropical cyclone formation. So, it is that time of the year in the northern tropics. 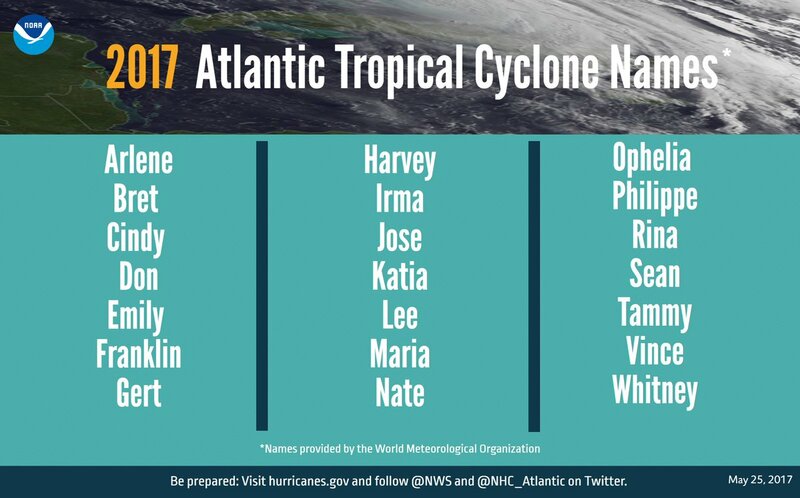 The 2017 Atlantic Hurricane Season is right upon us, ready for its ‘official’ starting date of 1 June 2017. Beyond the Atlantic, conditions appear already favorable for tropical cyclone generation throughout the Pacific ocean, to the northern Indian ocean and the Arabian sea. It is time to be prepared, and remain alert. It is time TO MITIGATE!